Ketogenic diets have become immensely popular, with many people turning to them as a way to lose weight and improve their health. Indeed, there are many different studies that support this outcome, suggesting that the diet can provide benefits for conditions like diabetes, epilepsy and even cancer (1,2,3,4,5). But, despite the various benefits, keto diets can be confusing – which is the reason for this keto shopping list. Here, we’re highlighting the key foods that you can eat on a keto diet, including many that you are likely to rely on time and time again. At its most basic, a keto diet is a type of low carb and high fat diet. As with a low carb approach, the idea is to dramatically reduce reliance on carbs, making fat the main energy source instead. There are many benefits involved with this process, especially as carbs are strongly associated with inflammation. At the same time, high carb foods are often more heavily processed and high in sugar. Those aspects alone can be damaging for health. However, a keto diet does go beyond the idea of just low carb. In particular, the focus is on lowering your carb intake enough that you enter into a state of ketosis, which is where fat is being burned for energy. Once on the diet, many people monitor their levels of ketones or rely on other signs of being in ketosis. Levels vary, but in most cases, you’ll need to have less than 50 grams of carbs per day to remain in ketosis. In some cases, you’ll need to be under 20 grams, depending on how your body responds. The KetoDiet App site actually has a great calculator called the KetoDiet Buddy that can help you figure out the best macro balance for a keto diet. At the same time, other products and meals will have hidden carbs. The end result is that a keto diet requires an entirely new approach to food. You have to rethink many meals that you would normally eat. In most cases, you also have to change the ingredients you rely on and the recipes that you follow. But, this doesn’t have to be difficult. Instead, many of the processes become more natural as you go along. For that matter, people often find that the love low-carb food after a while. So, let’s take a look at ingredients that you will rely on. Precisely what you eat on a keto diet will depend on a range of factors, including your own dietary preferences. While you do have to keep your carbs under a certain level, there are various ways to achieve that. As a result, different people vary in the ingredients that they include and the meals that they eat. However, the items below are all common inclusions and can work well on a keto diet. This is probably the most critical source of fat on a keto diet – especially if you plan to make fat bombs or anything similar. There are many brands out there but I recommend this one. Grass fed is best if you can get it but even regular butter is associated with health benefits and contains healthy compounds like butyrate. Ghee is clarified butter and has higher nutrient density than butter. It is particularly popular in cooking and this brand is a good choice. Ghee and butter both have their own advantages and you can often use either. However, some recipes will call for one over the other and ghee often works particularly well for cooking. Many people keep both on hand because of their different properties. This is particularly popular for bulletproof coffee but is also used in some recipes and as a way to stay in ketosis. One good brand is Viva Naturals, which is well worth trying out. Olive oil is fairly famous as a healthy fat, with extra virgin being the best version. While there are countless brands out there, this one has consistently passed tests, so you know that you’re getting what you pay for. Protein is a critical source of energy and it does play a role in a keto diet too. For the most part, keto dieters get their protein from animal-based options. There is also a preference for grass-fed meat wherever possible. All of the products below are common choices on a keto diet and you can choose based on your own personal preferences and what fits into your macros. On a side note, keto is a fat-based diet. As such, you don’t have to rely on lean cuts of meat. Instead, you can go with whatever suits your recipe and tastes. For that matter, there isn’t much you have to avoid with meat at all. Just about any meat is fine on a keto diet. The main exception is products that are processed, as these will sometimes include added carbs. Nuts are great for weight loss in general and for keto. They offer a good balance of healthy fats, protein and fiber. Nevertheless, you do have to be careful, as it is easy to consume too much and doing so could push you out of ketosis. Additionally, some nuts are better than others. For example, pistachios and cashews both offer health benefits but they are fairly high in carbs. You can also turn to the various nut butters (like almond butter). However, if you do so, you need to focus on brands with minimal processing (like this one here). Some dairy options were included above as healthy fats but there are a few others that make their way onto a keto diet. Now, as always, you’ll have to check ingredients labels carefully, as there can be considerable variation between brands. Still, if you pick the right options, dairy can work well on a keto diet. Avocado is particularly relevant on a keto diet because it is such a powerful source of healthy fats. At the same time, it is also versatile and is commonly used in many recipe types, such as a breakfast bowl, an ingredient in dessert or part of a healthy smoothie. ​As a general rule, leafy greens make excellent sources of nutrients, particularly options like kale and swiss chard. This is another vegetable that is common as a substitute. In particular, people often use a spiralizer (like this one here) to create strips that can be used instead of pasta. There are also many recipe books to get the most out of a spiralizer (like Inspiralized). However, you will have to pay close attention to the ingredients, as such books typically aren’t optimized for keto. Beyond these, there are many more great low carb vegetables that you can include in your diet. There are also other products that can be relevant to a keto diet – particularly for cooking. After all, you do need to make substitutions to ensure that your meals turn out well. Sugar is a carb, so keto dieters heavily rely on alternative sweeteners. Some options include stevia, Swerve and xylitol. People vary considerably in which sweeteners they like and can tolerate. So, you may need to experiment to figure out what is right for you. 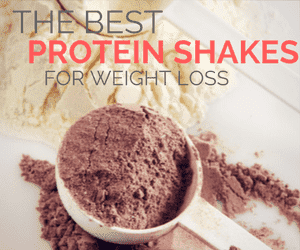 Protein powders get a mixed reception and many people do prefer whole foods. Nevertheless, they can be a valuable addition to a keto diet, especially for people who are often short on time. There are many good low-carb whey protein powders out there and some plant-based protein powders are low in carbs as well. You can read more about some of those options in the low carb flour guide. There are many other keto ingredients that haven’t been included on this list. As a general rule, the idea is to simply pay attention to the carbs content of anything that you plan to eat. Additionally, the site Keto Size Me offers a printable Keto Food List that you can take with you when shopping. While that doesn’t offer explanations of the various options, it is a great resource overall. Keto Connect also offers great insight about how to shop for keto on a budget, including a video about keto shopping at $5 a day. At first glance, a keto diet often sounds difficult and confusing – especially as some of the ingredients you use are fairly obscure. But, it doesn’t have to be. Instead, there are countless different sites that offer keto recipes, along with a large amount of guidance for following (and sticking to) a keto diet. For example, Ruled.me has a strong emphasis on keto, including books, recipes, a forum and more. The site also has a comprehensive ketogenic diet food list, which offers a visual indication of what you can (and cannot) eat on a keto diet. Likewise, there is a powerful keto app from the KetoDiet site that offers considerable support and direction. It is a paid app but the sheer number of features makes this well-worth checking out. Beyond this, one of the most important areas of following keto is simply paying attention to your macros. The term here refers to macronutrients, particularly protein, fat and carbs. With this in mind, you choose your food and recipes based on the levels you are trying to achieve. Finally, there is no shortage of different cookbooks available. The following are all good places to start and there are countless others out there as well. One other thing to briefly mention is that there are multiple types of keto diet. For example, the most common approach tends to be very low in carbs, while containing moderate levels of protein and high fat. Ratios vary, but this can often look like: 5% carbs, 20% protein and 75% fat. With this approach, dieters mostly focus on getting enough fat in, while paying less attention to protein. In contrast, there is also a high-protein ketogenic diet. In this case, you might get around 35% to 40% of your calories from protein and less from fat as a consequence. A high-protein approach has some advantages, especially as there are health benefits associated with protein. Likewise, protein can be relevant for preventing age-related muscle loss and for building muscle overall. Related Article: Protein on Keto – How Much Is Too Much? There are other variations too, such as options that allow higher carb refeeds. Such approaches are more advanced and are typically used by athletes and bodybuilders. In most cases though, you’re likely to be following either a typical keto diet or a high-protein variation. Regardless, the basic approach remains the same and you choose your food based on how it ties into your desired macros. A ketosis diet is one approach to health and weight loss, which many people strongly recommend. And, for many people, keto is powerful, offering considerable health and weight loss benefits. With that in mind, this type of diet can be effective. And, as I’ve already mentioned, there is no shortage of support and resources out there. But, at the same time, some high-carb foods can be healthy. Likewise, some people fare poorly when they entirely cut carbs out of their diet. For example, Precision Nutrition has a great article on this very topic, including why low-carb diets often aren’t the answer. At the same time, a post on Chris Kresser's website talks about cases where a low-carb diet could be ruining your health, rather than providing benefits. More than anything, the answer comes down to what works for you. For many people, a keto diet is effective, for others a less restrictive diet is better. In some cases, people focus on methods like intermittent fasting to break through weight loss plateaus (in conjunction with ketosis or instead of it), or they may turn to a different technique entirely. With that in mind, figuring out the best option is often a matter of trial and error. So, you might follow the keto diet for a while and see how it makes you feel. Many people do find that they end up much healthier, especially as the fat in the diet helps to promote cognition and energy. If not, there are other options out there, such as a basic low-carb diet, along with paleo or intermittent fasting approaches. But, regardless of the technique you rely on – one of the most important aspects of being healthy is the food you consume. The best health benefits come from relying on whole foods, especially as so many of these have powerful nutritional components. Going out to the grocery to buy keto friendly stuff can be exhausting, that’s why I find this article so helpful. It can save me time and money as well. Thanks for this great post!